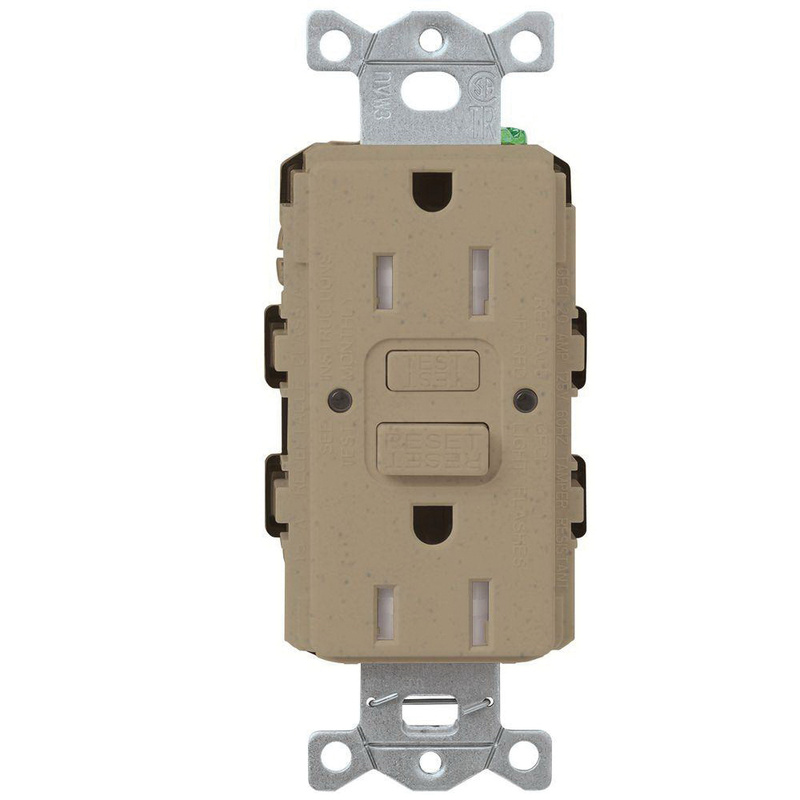 Lutron Tamper-resistant self-test GFCI receptacle in mocha stone color, has plastic construction for long-life durability. It features traditional testing mode and auto-sensing mode for immediate interruption for a ground fault condition for Class A protection. The receptacle operates at a voltage rating of 125-Volts, current rating of 15-Amps, temperature rating of -35 to 66 deg C and frequency rating of 60-Hz. The continuous electronic sensing, testing and evaluation utilizing diagnostic software is located on the printed circuit board. It supports permanently installed internal tamper-resistant shutter mechanism that is capable of resisting insertion of foreign elements into the device. It comes with an internal back wiring clamp and guide pocket. The self-test GFCI receptacle meets UL 943 Class A GFCIs and UL 498, NEC, CEC & OSHA, UL File E-41978, CSA File LR-24886, UL, CSA, NOM and UL 943 standards.